Depart the pier for the approximate 3-hour drive through the flat desert landscape to Africa's largest city, Cairo. Upon reaching the outskirts of Cairo, you will proceed to the Giza Plateau to discover the only remaining Wonder of the Ancient World, the Pyramids of Giza. It is here that three pharaohs, Cheops, his son Chephren and grandson Mykerinus, built great tombs to protect their mummified bodies in the afterlife. Free time will be taken for photos and for those wishing, to walk closer to the pyramids. You will then drive to the high western plateau for panoramic views and photo opportunities of the valley and all the pyramids below. Next, travel to the guardian of the mortuary complex, the mysterious Sphinx. Carved out of a solid natural rock around 2650 B.C.,the Sphinx has the head of a man, body of a lion and stretches out to a length of 240 feet. You will have approximately 20 minutes for free time for photos and to explore. Your next stop will be at El Thrir square,the most famous square in all the Middle East, the square of the Egyptian revolution 2011. 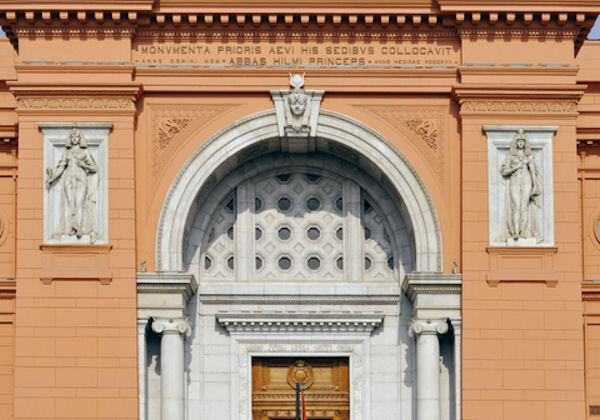 Your last stop is the magnificent Egyptian Museum, the most important depository of Egyptian antiquities in the world. The museum is home to over 120,000 items, only a portion of which are in display in its more than 120 rooms. The artifacts date from 2700 B.C. to the 6th-century A.D. It includes thousands of statues, jewels and the treasure of the boy king, Tutankhamun. Your tour includes a visit to the King Tut gallery which includes the golden mask and items from the treasury. It does not include a visit to the Royal Mummy room. Following your tour, you will begin the 3-hour return drive to the port. Remember to bring your camera. There will be some walking. Please note: Tour includes King Tut Gallery, does not include the Royal Mummy room. The drive to Cairo is approximately three hours each way.